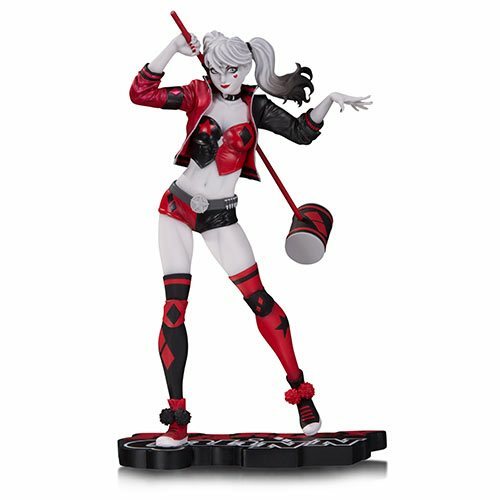 Based on the Harley Quinn #1 variant cover by artist Philip Tan, this statue makes its way into the line, standing on a Harley Quinn logo base and featuring the Red, White and Black paint deco. The Harley Quinn Red, White and Black Harley Quinn by Philip Tan Statue is a limited edition of 5,000 pieces and measures slightly under 7 2/3-inches tall. Ages 14 and up.